Solid flashes in various colors. 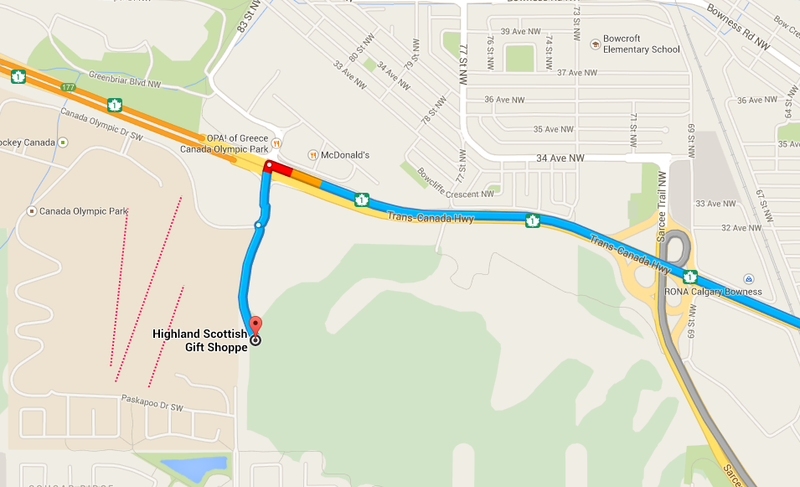 Choose the color that best matches your tartan. 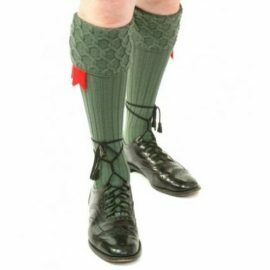 Want to try something different with your kilt – check out these Ghillie boots. Excellent fit and comfortable to wear. Available in sizes 5 to 13, 4E width. 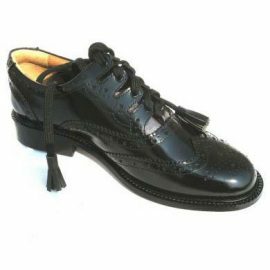 One set of black Ghillie Brogue shoe laces with four tassles. 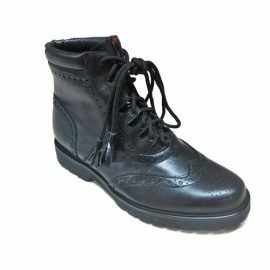 Finish off your look with dress leather Ghillie Brogue shoes. Piper’s Choice hose with bubble top. Comes in 9 different colors. Choose the one that goes best with your kilt. Sizes available are Small (5.5 – 7.5 US), Medium (8 – 10.5 US), Large (11 – 13 US). 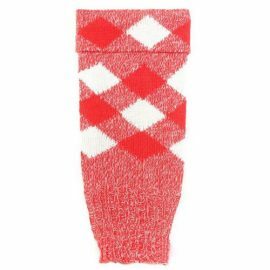 House of Cheviot Hose are made in the borders of Scotland. 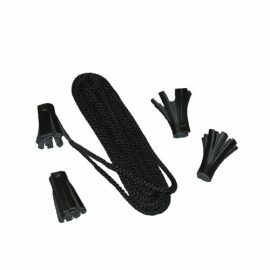 They are the most premium hose available and are known for both their durability and comfort. The Lewis hose has a woven Celtic knot on cuff. Sizes available are Small (6.5 – 8.5 US), Medium (9 – 11 US), Large (11.5 – 13.5 US) and Extra Large (14 – 15.5 US). Traditional military red/white and red/black. 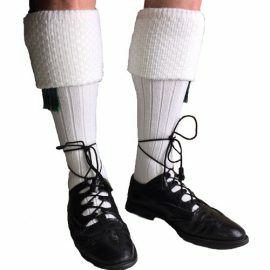 Hose tops only (no feet) to wear with spats. Traditional military red/white and red/black. 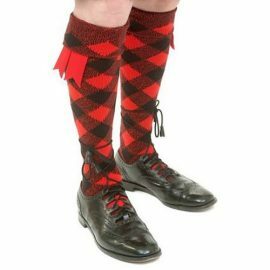 Want a set of flashes to match your kilt … misplaced your originals. Order some new ones here. 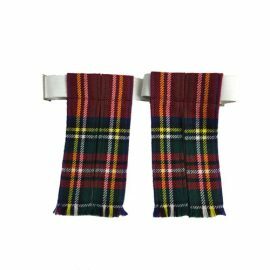 These tartan flashes are available in different weights if you would like to match the same weight of your kilt. Made to cover your shoes and give that pure white look. Spats are most commonly worn by pipe band members or military personnel. 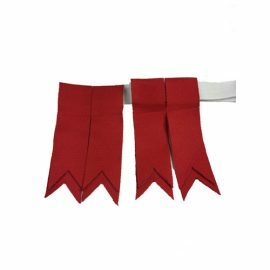 Made with elastic bands to hold the spats in place. Top and bottom buttons are functional.